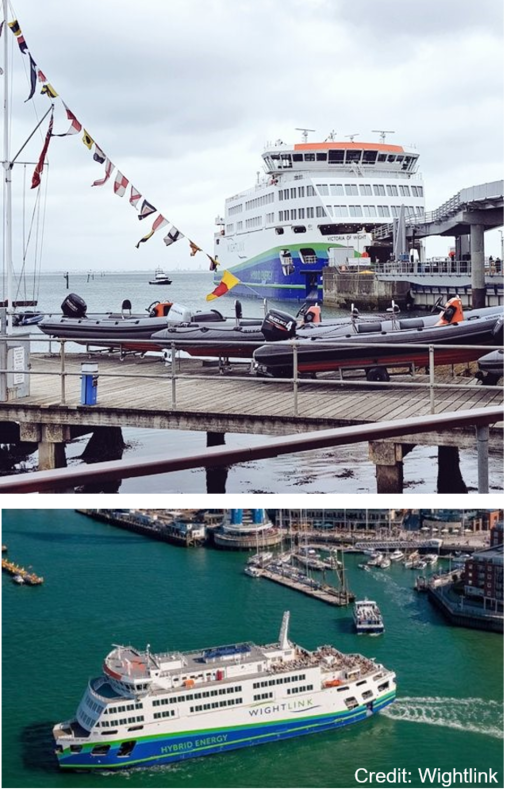 SMS Towage Assists Arrival of Wightlink's new 'Victoria of Wight' Eco-Friendly Ferry - SMS Towage Limited. Last month, Wightlink's new £30 million ferry, the Victoria of Wight, had it's official naming ceremony. The new ferry will run services between Fishbourne and Portsmouth and features an energy efficient engine with a reduced carbon footprint. SMS Towage were happy to assist during the vessel's arrival at Portsmouth the previous month. Sending the Guardsman as lead tug to ensure the ferry arrived safely into dock.